The Muhlenberg Couhty Baptist Association is relatively young when compared with the age of some of the Baptist churches now in its membership. Hazel Creek, Nelson Creek, and possibly Old Bethel had been active churches for over a hundred years when the Association was constituted in 1907. The early history of the county and, in a general way, the his�tory of the Baptist people and of the Baptist churches may be found in Chapter One of A History of the Muhlenburg Baptist Association. In this chapter short histories of the individual churches belong�ing to the Association are given. Each church was asked by the Historical Committee to furnish the Committee with its history. The most of them compiled. Some of these histories gave the name of the compiler. Where this was done, credit is given. The Committee extends sincere thanks both to those who signed their names and to those who did not. In most instances the author-editor added statistical information gathered from a study of the minutes of the Association from 1907 through 1965. Mohon, Mrs. Hager Williams, H. L. Mohon, and Mrs. Nora Gill. Bro. J. W. Gill was elected the first pastor. Five deacons were elected for the newly organized church: Tom Ray, Ezra Howerton, Clarence Wood, J. J. Pogue, and Welton Bradley. The first trustees were B. B. Posey and Alfred Underwood. Clarence Wood was elected for church clerk. Services were held in the Miners' Hall until a church could be built. This building was finished and dedicated in 1914. The first revival was held in 1913 with a great number of de�cisions for the Lord. During the early years of the church, mission revivals were held often. Ministerial students from Bethel College in Russellville helped in these revivals. In 1927 a new building was erected on a different site and the old building was sold to the Holiness denomination. The new build�ing was dedicated about two years later. The year of 1928 was the most outstanding year in the history of the church. During a revival in July, 135 lost souls were saved into the Kingdom of God. 118 joined the church by baptism, and 38 came by letter. The offering for the Cooperative Program in�creased ten per cent. There was an increase in membership of 142 which made a total membership of 365. The pastor's sallary [sic] was $600 for the year. This was certainly a joyous year in the work of our Lord. In 1929 during the annual revival there were thirty conversions and twenty-six additions to the church. The membership then totaled 371. The mission fund for the Cooperative Program was raised in 1930. During this year there were 41 conversions and 29 baptisms. This raised the membership to 385. Four deacons were ordained in August of 1932. The church roll contained 401 names this year. In November of 1933 this budget was adopted for the church: fifty per cent was set aside for the pastors salary, ten per cent for missions, and forty per cent for the Cooperative Program. This was changed in 1942 to provide sixty percent for the pastor's salary, fifteen per cent for local expenses, fifteen per cent for the Coopera�tive Program, five per cent for charity, and five percent for re�serve. In February of 1945 three deacons were ordained � C. E. McLemore, Ozra Mefford, and Raymond Mefford. In 1953 three more deacons were ordained � D. M. Vincent, T .B. Bandy, and James Strader. C. W. Mefford, O. E. Ewing, and L. A. Mohon were or�dained in 1958, and James Edmonds in 1965. A vestibule was built onto the church in 1948. In 1954 an an�nex of five rooms and a full size basement were added. The first pastor to move on the field was Bro. T. T. Moore in 1922, but not all pastors have lived on the field. In 1954 a parsonage was bought, and since that time a house has been provided for the pastor. 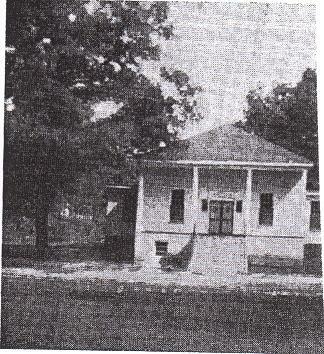 In 1950 a new parsonage was built on the present site. Preaching services were held once a month until 1916 when half time preaching was started. In 1919 the church returned to fourth time preaching. Half time preaching was resumed in 1931, and full time preaching was begun in 1938. L. A. Whitaker, David Mefford, and Dan Hughes, Jr. The church has had several members who have gone into full time Christian service. The church now has full time preaching, a parsonage valued at $4,000, a church building valued at $15,000. It pays the pastor a salary of $75 a week. The membership is 180. Its organizations are Sunday School, Training Union, Woman's Missionary Union, Girl's auxiliary, and Sunbeam Band. The first Sunday School superintendent was Ezra Howerton. When the church was first organized Sunday School was held in the afternoon and only during the summer months. Soon an "Ever�green" Sunday School was started which meant services would be held the year round. In January of 1928 the attendance was 200. In June it reached the peak of 342. The number enrolled was 355. The enrollment dropped to 195 in 1929 and to 190 in 1930. The first Sunday School study course was held in 1932 with an enrollment of 168. The first Vacation Bible School was held in 1938. A B.Y.P.U. was organized in 1917, again in 1928, and again in 1934. These early attempts did not prove too successful, but in 1946 a Training Union was organized with Bryan Clark as director. There was approximately 40 charter members. The present enrollment is 67 with an average attendance of 36. The first W.M.U. was organized in 1916 with ten charter mem�bers. Because of a lack of interest it had to be reorganized in 1922. A Sunbeam Band and a Girl's Auxiliary was organized at the same time. A Brotherhood was organized in 1954, but because of a lack of interest it has been discontinued. Pastors who have served the church are: Brethren J. W. Gill, 1912-1915; A. C. Doris, 1915-1917; J. A. Brannon, 1918-1920; Arthur Holland, 1920-1922; T. T. Moore, 1922; J. W. Gill, 1923-1925; T. T. Moore, 926-1927; L. P. Whitaker, 1928-1931; Morris Prince, 1931-1934; S. T. Skaggs, 1934-1938; T. G. Shelton, 1939-1941; T. S. South�ard, 1942-1944; Kenneth Clindaniel, 1944-1946; John S. Jennings, 1947-1952; John W. Brandon, 1953-1955; John R. Couch, 1955-1957; Freddie Denton ,1957-1958; Joe Prater, 1959-1962; Roy Francis, Jr., 1962-1965; Perry Fletcher, 1966. Editors Note: Membership has varied greatly as the foregoing history shows. The fewest seems to have been in the early '50's when 152 were reportd. This increased to 180 in 1965. The pastor's annual salary was $125 in 1913. The salary has been $3,600 since 1960. Mission payments started at $40 in 1913. Since 1955 the amount has been from $1,000 to $2,000 a year. The Beechmont Missionary Baptist Church was constituted No�vember 27, 1955, in the store building of C. E. McLemore, Beechmont, Kentucky. Sunday School had been meeting in said building since March 6, 1955. Eighteen were present at the first meeting. Brother Dencle Lewis, Gra�ham, Kentucky, came to us in May 1955 as our first pastor. This was his first pastorate. We paid him $37.50 a month plus living quarters. The new church was spon�sored by the Hazel Creek Bap�tist Church other than for fin�ancial obligations. The constituent council was made up of pastors and deacons from sixteen Muhlenberg County Baptist churches. Bro�ther John Brandon called the meeting to order. Brother R. H. Forsythe served as moderator and Brother Gail Clardy as Clerk. Brother E. E. Spickard, Mt. Pisgah, brought the sermon on "The Work of the Church." Brother H. K. Langston prayed the organization prayer. The constituent membership was made up of Mrs. Gertie Tucker, Alford Cottrell, May Cottrell, Alfreda Cottrell, May Cottrell, Alfreda Cottrell, Henry Brigance, Mrs. Henry Brigance, Mrs. Gladys Luckett, Mrs. Bernice McLemore, W. J. Wilkerson, Mrs. Pearl Wilkerson, Mel�vin Mclntosh, Mrs. Eva Jenkins, Monroe Luckett, Brother Dencil Lewis, Mrs. Louise Lewis, Patricia Lewis, June Lewis, C. E. Mc�Lemore, and Clayton Anderson from the Hazel Creek Baptist Church; D. M. Vincent, Mrs. D. M. Vincent, Mrs. Tom Lyons, Jo Ann Lyons, and Mrs. Horace Smith from the Beech Creek Baptist Church; Helen Mclntosh and Wilda Mclntosh from the Penrod Baptist Church; and Mrs. Vina Wester from the Pleasant Grove Baptist Church. Officials chosen by the church were C. E. McLemore and D. M. Vincent, deacons; Clayton Anderson, Alfred Cottrell, and Monroe Luckett, trustees; Melvin Mclntosh, clerk; C. E. McLemore, trea�surer; D. M. Vincent, music director; W. J. Wilkerson, usher; and Melvin Mclntosh, jainitor. At this writing (November, 1965) we have seventy-three mem�bers. Death has claimed five of our charter members plus one other. In June 1956 the basement of our church building was completed. Seven Sunday School rooms and an auditorium. It was debt free in December 1959. 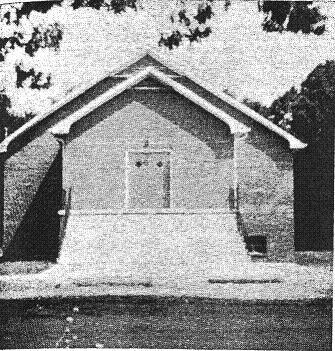 In January 1965 the church auditorium, constructed of bricks, was completed. The total cost of the entire investment was $30,000.00 The debt at this writing is less than $6,000.00. Approved by the church November 11, 1965. Mrs. C. E. McLemore, Historian. Pastors: Rev. Dencle Lewis, 1956 and 1957; Rev. Boyce Newman, 1958 to 1965. Treasurer: C. E. McLemore, 1956 to 1965. Sunday School Superintendents: Henry Brigance, 1956-1959; Eugene Luckett, 1960-1965. In 1956 the church had 33 members, paid her pastor $900, gave $270 for all missions, and paid $4,533 for all purposes. In 1964 she had 74 members, paid her pastor $2,800, gave $561 for all missions, and paid out $5,108 for all purposes. Sunday School enrollment increased from 55 in 1956 to 67 in 1964. A total of 27 people have been baptized into the church from 1956 through 1965, 19 of these during the first three years. 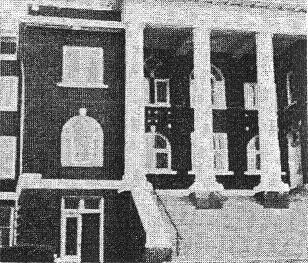 The church building burned in 1960. No picture available. Bethel Baptist Church is no longer in existence, but because of the influence it had in the establishment of other churches in this area, the following brief history of this church is presented. The exact date Bethel Church was organized is not known be�cause the first records have been destroyed. It is believed to have been in existence as early as 1801. The first authentic written records available are the records of a business meeting of the Arm at Charles' Chapel. This was dated October 1866. No further mention of this Arm is recorded until September 1869. At this time the members composing the Arm at Charles' Chapel requested letters of dismission to organize a body. The request was granted. This Arm is believed to be what is now Mt. Pisgah Baptist Church. In 1811 Bethel extended an Arm which is now New Hope Bap�tist Church. This arm did business as the Arm of Bethel Church from 1811 until 1824 and perhaps later. The first church building at Bethel was a log building. At a later date a brick building was erected at or near the site of the original log building. In May 1917, J. B. Noffsinger, J. R. Reno, W. D. Tudor were ap�pointed a committee to dispose of the old brick building and to col�lect funds to erect a suitable house of worship. This building was a frame house with weatherboarding on the outside and plastered walls on the inside. 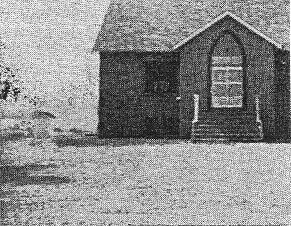 During the months of October, November, and December 1917, the services were held in Eades School house because the old brick building was being torn down. The first services in the new frame building were held February 22, 1918. This buliding was dedicated August 1918. The Muhlenberg County Baptist Association met at Bethel on this date and the dedication services were held on the first day of this meeting. The Association met here again in 1958. Old hand-made benches were disposed of August 24, 1918. It was wired for electricity in April 1953. No major changes were made in this building until the spring of 1958 when Sunday School rooms and a basement were added to the rear of the church building. The addition of a furnace made it possible to have central heating. This part of the building was dedicated May 1960. Late Saturday evening November 19, 1960, a fire of unknown origin completely destroyed the church building with all of its fur�niture. At a special business session at the New Harmony Church, No�vember 27, 1960, the members of Bethel Church voted not to re�build the church. The reasons for this decision being: there was now no longer a community at Bethel, and most members were driv�ing from other communities to the services. The members felt they would be of greater service in the communities where they now lived. The church roll listed 17 slaves as members of the church in 1856. They were listed by first name only. October 13, 1906, three delegates were chosen to meet with Hazel Creek Church for the purpose of discussing the advisability of organizing a Muhlenberg County Baptist Association. August 10, 1907, Bethel sent delegates to both Little Bethel Association and to the Muhlenberg County Baptist Associaion. At this time Bethel sent a request for a letter of dismission from Little Bethel to join Muhlenberg County. February 3, 1911, the church was called a Missionary Baptist Church. Before this date it was called the United Brethren Church at Bethel. March 23, 1912, the church met to organize a Sunday School. January 25, 1947, the church adopted the budget system. January 14, 1956, the church went from quarter time to half time preaching. January 1960, the church went to full time preach�ing. Pastors: Brethren W. H. Woodson, 1868-1873; Charles Karins, 1874-1877; T. W. Pritchett, 1878-1879; W. W. Williams, 1880-1883; J. T. Casebier, 1884-1885; W. H. Woodson, 1886-1894; J. D. Woodson, 1895-1896; W. H. Woodson, 1897; R. E. Smith, 1898; J. W. Gill, 1899-1905; J. H. Coleman, 1906-1911; T. M. Welburn, 1912-1913; I. B. Stuart, 1914-1918; John Grady, 1919; H. D. Divine, 1920-1921; W. H. Curl, 1922; L. P. Whittaker, 1923-1924; J. W. Gill, 1926; W. W. Wood-son, 1927; S. P. Browning, 1929; J. W. Gill, 1930-1931; Robert Spears, 1932-1934; Bryant Wice, 1935-1941; Ben Woodburn, 1942-1944; A. R. Procter, 1945-1947; L. B. Wice, 1948-1951; S. A. Kittinger, 1952-1956; Ora DeArmond, 1956-1960. Clerks: Brethren G. M. Bibb, 1868-1871; T. J. Eades, 1872-1878; J. S. Edwards, 1879-1884; J. W. McLevain, 1885-1891; J. W. Durall, 1892; T. A. Eades, 1893-1902; J. W. Banner, 1903-1910; W. D. Tudor, 1911-1955; Willa Dean Noffsinger, 1956-1960. Ministers licensed and ordained: L. J. Stirsman, ordained, 1881; J. R. Henry, licensed, 1883; W. T. Henry, licensed, 1887, ordained, 1889; Samuel Brown, licensed 1891; Lat Grundy, licensed 1916, or�dained 1917; Houston Noffsinger, licensed 1960, ordained 1960. Compiled by Willa Dean Noffsinger. [Frank] Masters says that Bethel belonged to the Little River Associa�tion previous to 1820 when it became a constituent member of the Highland Association which was organized that year. Highland As�sociation, however, because "a rank anti-mission body" and in 1836 Bethel and three other churches withdrew from that Association giving as their reason "the violent opposition of a majority of that body to the benevolent institutions of the day" and "its repeated violation of the spirit and letter of its constitution." These four churches formed a new association, Little Bethel. The first anniversary meeting of the Little Bethel Association (1837) met with Bethel Church. Three other churches joined the Association that year, Unity being one of them. From a copy of the Little Bethel Association minutes for 1890, we learned that W. H. Woodson, W. P. Henry, and Samuel Brown were messengers from Bethel. Church membership was 282. The pastor, the Rev. W. H. Woodson, received a salary of $125 for the year. No mention is made of a mission expenditure by the church. From minutes of the Muhlenberg County Baptist Association, we learned that Bethel had 160 members in 1907 and 151 members in 1960 when it disbanded. The pastor's salary was $30 a year in 1910; it had increased to $1,914 in 1960. No gifts to missions were reported in 1907, 1930, or in 1931; but $537 was given to missions in 1960. Total expenditures for all purposes was reported as $105 in 1907; as $4,784 in 1960. This brochure is dedicated to all the saints of God, pastors and members, glorified and living, who by their dauntless faith; perservering prayers; and sacrificial labors have kept the altar fires burn�ing in Bethlehem Baptist Church for the past one hund�red glorious years. One hundred years ago, on Saturday, May 28, 1953, Elders K. G. Hay and William Bennett met at Scott's Schoolhouse with nine Baptists, who brought their letters and requested that they be constituted a United Baptist Church. Scott's Schoolhouse stood in a beautiful woodland about a mile northwest of Bremen, Muhlenberg County, Kentucky; near the spot where the Beth�lehem Baptist church-house now stands on the west side of Kentucky Highway 81, be�tween Bremen and Sacremento. These nine Baptists were: Daniel Harris, Thomas Drake, Elder William Welch, Mary Welch, Elizabeth Drake, Nancy C. Gossett, Mary E. Drake, and Sarah K. Drake. Their letters of dismission being in regular order, they were approved and duly constituted a United Baptist Church, and there�upon immediately went into a business session, in which they chose Bethlehem as their name; Saturday before the second Sunday in every month for their conference meeting; and Elder William Welch for their pastor. During the pastorate of Brother Welch, Bethlehem Church or�dained her first deacons: Thomas Page and Walter Sparks; made her first mission offering; elected her first Mission Board member, Brother J. N. Rhoades; and took her first Foreign Mission offering, Brother John Noffsinger giving one-third of it. Brother Welch continued his pastorate of the church till 1861 and his membership in the church till 1922, a total of 69 years during which time he remained a useful and honored member of the church. On May 11, 1861, the church called Elder John M. Peay as pas�tor and he made a proposition to the church to which "the church agreed." If this refers to the pastor's salary, it is the first record of paying the pastor a salary. Elder K. G. Hay accepted the call of the church as pastor in July of 1862, and continued till June 1866, a period of four years. During his pastorate Bethlehem ordained her first minister of the Gospel, Elder Charles Karnes, on April 7, 1866; and elected her first trustees � Jesse Welch, John Danner, and J. N. Rhoades � on De�cember 9, 1865. On June 9, 1866, Bethlehem called Elder W. H. Woodson who accepted and served the church till sometime in 1870. It was during his pastorate that the church erected its first house of worship in 1869, having used the schoolhouse for a period of sixteen years. On December 10, 1870, Bethlehem called Elder Charles Karnes, her son in the ministry who served them four and one half years. Then Elder B. F. Swindler served from 1878-1881; Elder W. W. Wil�liams, 1882-1883; Elder W. H. Woodson, his second pastorate, 1884-1891. In October 1885, during Brother Woodson's second pastorate, the church minute makes record of a "glorious revival," eleven being added to the church membership. Then again in 1889 God visited the church with a great revival in which the church minute records "fifty odd souls converted, and twenty-five additions to the church". How fine it would have been if all the revivals at Bethlehem, with the number of professions of faith and additions to the church, had thus been made a matter of record in the church minutes. Brother L. H. Voils served as pastor for five months during 1892; Brother W. H. Bell, 1893-1895; Brother W. D. Cox, 1896-1898; and Brother R. W. Danks, 1899-1902. On March 7, 1896, the church adopted resolutions commending Dr. Fred D. Hale's course in combatting the traffic in his, the First Baptist Church, Owensboro, Kentucky. On April 11, 1896, the church had 20 additions to her membership, presumably from a revival meeting. Shanks to the Gospel ministry, the presbytery consisting of Brethren W. H. Woodson, J. T. Casebier, L. J. Stirsman, Samuel Brown, and Pastor W. D. Cox. In 1901 on February; 9th, and again on March 9th the record makes its first mention of a Sunday School. On the latter date it set March 31, 1901, at 2:00 P.M. to meet for the purpose of organizing a Sunday School. On September 13, 1902, the church called Brother B. F. Jenkins as pastor at a salary of $200 a year. Pastor Jenkins held a revival with the church in November 1902 which resulted in fourteen pro�fessions of faith, and fourteen additions to the church by experience and baptism. After this revival the church appointed her first regu�lar weekly prayer-meeting for "every Thursday night." In 1904 Bethlehem Church entertained the Daviess County Bap�tist Association for its second and last time as she went into the Muhlenberg County Baptist Association when that body was or�ganized at Nelson Creek Batist Church in 1907. On December 10, 1904 the church called Brother J. D. Kocker as pastor. He served until the close of 1907. He was replaced by Bro�ther W. W. Schwerdtfeger who served until April 1910. Brother J. N. Jarnegin began his pastorial labors with the church in May 1910 and resigned at the February meeting 1911. Brother B. F. Jenkins was then elected for the second time, but when the church voted to have a "missionary sermon" on April 14, 1912, this proved to be his last Sunday with the church. During the same month the church called Brother G. H. Lawrence. During his pastorate the church began regular monthly Mission offerings, and in November sent Brother R. W. Batsel as a messenger to the General Association of Kentucky Baptists which was meeting in Madisonville, Kentucky. On February 9, 1913, the committee to investigate in regard to building a new church house was enlarged; and at their March meeting the church approved their plans and gave them "full right to go ahead". On March 7, 1914, the church requested that Pastor Lawrence preach the dedicatory sermon, which he did on Sunday, May 10, 1914. Brother Arthur Holland served the church as pastor during 1916; Brother Thomas Woodson, one of the three preacher sons of W. H. Woodson, 1917 and 1918; Brother J. W. Gill, 1919; Brother L. P. Whitaker, 1920-1923; Brother S. P. Browning, 1924 and 1925; Bro�ther T. T. Moore, 1926-1929. Pastor Moore led the church in revival services in 1926. On July 25th the minutes records the baptism of six young people, and on Saturday, August 21, Brother Andrew Kittinger and wife Estel joined the church by letter. On Sunday, August 28, 1927, Brethren W. J. Stirsman, Simon Whitmer, W. A. Robinson, and C. D. Vincent were ordained deacons. On May 24, 1930, the church called Brother J. H. Boswell as pastor. He held a revival meeting with the church which resulted in 35 additions to the church, 25 of them being by profession of faith and baptism. Brother Boswell closed his pastorate of the church May 22, 1931. On January 24, 1931, the church took loving note of the home-going of Brother L. J. Stirsman, which occured on January 5, 1931. Brother L. P. Whitaker was pastor during 1932-1933; Brother Frank Farmer, 1934-1935; Brother Ishmael Phillips, 1936-1938. On October 24, 1936, the church took note of the home-going of Brother Frank Farmer in tender "Resolutions of Respect and Sympathy." Brother T. T. Moore was called and began his second pastorate of the church on December 31, 1938. This 'pastorate was to continue till November 28, 1946, thus giving him the second longest pastorate in Bethlehem history. During this pastorate the monthly offerings of the church increased from $19 to $159, and the pastor's salary from $15 for once a month preaching to $68 for twice a month preaching. Vacation Bible Schools were begun, gifts to missions and benevolences were greatly increased and church membership grew steadily. Brother Hughlan P. Richey began pastoral care of the church in March 1947. 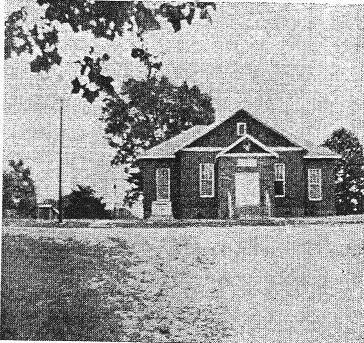 An educational addition to the church building was begun and put well on its way; the Training Union was organized; the Sunday School grew from an enrollment of 86 to an enrollment of 121. Brother Richey resigned and Brother W. W. Crowder became pastor in 1949. Brother Crowder resigned the following year and Brother John W. T. Givens supplied the pulpit until Brother Drexel R. Hankins began his pastoral labors December 17, 1950. As we note the growth of Bethlehem Church during these past 100 years, from a membership of 9 at her constitution to a member�ship of 330 reported at our last Associational meeting [membership 382 in 1959], we rejoice at the wonderful grace and blessings of our God. Bethlehem has entertained the Association five times to date and is to be host to the Association in this her centennial year . As we think of the glorified saints who worshiped and served God here during the past 100 years, we may well say with the writer of Hebrews: "Wherefore seeing we are also compassed about with so great a cloud of witnesses, let us lay aside every weight, and the sin that doth so easily beset us, and let us run with patience the race that is set before us, Looking unto Jesus the author and finsher of our faith." Heb. 12:1-2. Brother Givens' history covers the period to 1953. Some later statistics have been inserted in brackets by the editor. Brother Hankins served as pastor until 1959; Brother William Tucker, during 1960; Brother Robert Travils, during 1961 to July 1964; Brother Ed Bolton, 1965 to present. Pastor's salaries have increased from $150 in 1918 to $4,160 in 1964; mission offerings from not any in the early 1930's to $3,711 in 1965; total expenditures from $238 in 1907 to $20,205 in 1958. Sunday School enrollment has increased from 58 in 1920 to 259 in 1963. Notable progress has been made in Vacation Bible Schools, Training Union, Brotherhood, Woman's Missionary Union, Library, and other church work. Brother Warren Payne, Enlistment Evangelist for the Associa�tion, held preaching services in some of the homes of Browder in 1922, and Mrs. H. R. Paxton superintended a Sunday School. These seem to have induced some of the people of Browder to desire a local church. Accordingly a church council with representa�tives from Hazel Creek, Forest Grove, Antioch, Oak Grove, Forest Oak, Beech Creek, Greenville, Unity, Lewisburg, Green Briar, West Providence, Old Bethel, and Franklin as�sembled on May 7, 1922. Elder Warren W. Payne was elected moderator and H. R. Paxton, clerk. H. R. Paxton, Maude Paxton, Billy Paxton, William Chumley, T. M. Wright, Catherine Wright, H. M. Lawson, Pearlie Lawson, and Albert Smith sub�mitted letters of dismission from other Baptist churches and were designated by the Moderator as those constituting the charter members of a new church. This group adopted the Articles of Faith and the Church Cove�nant found in Pendleton's Church Manual and were declared duly constituted and ready for business. This Browder Baptist Church was admitted as a member of the Muhlenberg County Baptist Asso�ciation in 1922 with nine members; Warren W. Payne, pastor; H. R. Paxton, clerk; H. R. Paxton and H. M. Lawson, messengers. Membership had increased to 79 by 1925. Charlie Cottrell, Rich�ard Swihart and Charlie Arnold were ordained as deacons in 1925; Alvis Stewart and Fernie Givens in 1929. Membership continued to increase. 122 were listed in 1935; 161 in 1940; and 172 in 1950. Then a decrease to 158 in 1955, and 145 in 1959 was reported. The church went to full time in 1959 and by 1964 the membership had almost doubled � 271. Mission expenditures increased from $50 in 1958 to $855 in 1963; total expenditures increased from $256 in 1958 to $7,083 in 1963. Property value increased proportionately. The number of baptisms � 388 � has been large as compared to most churches of its age and size. S. P. Browning, 1936-1938; Marvin Stinson, 1939-1940; R. H. Forsythe, 1941-1942; M. V. Cotton, 1943; C. E. Daniel, 1944; Dewey Noffsinger, 1945-1948; None Reported, 1949; Charles Wilcox, 1950; Jack Smith, 1951-1952; None Reported, 1953; John Brandon, 1054-1957; None Reported, 1958; Elliott Williams, 1959; Carl Pendley, 1960-1964; Robert C. Bottoms, 1965; George Durall, 1966. For several years, many people had seen the need of a mission on Stringtown Road. Most of the people were lost and unchurched. Rev. Ray Dean, pastor of the Central City Baptist Church, had ridden up and down the road on horse�back and talked of the need to all who would listen. Later, Rev. J. L. Parker continued talking and praying. A prayer meeting was held in the home of Mrs. Morris on May 16, 1950 with the following present: Reverend Parker, Mrs. Parker, Mrs. Nannie Day, Mrs. Elmer Tooley, Mrs. H. S. Lovell Shir�ley Tooley, and Mrs. Morris. In June 1950 a Vacation School under the direction of the First Baptist Church was held each morning and a re�vival under the leadership of Reverend Parker was held at night. This was held under a tent located in a vacant lot on Stringtown Road in front of C. H. Boothe's. The song service was led by volunteers each night. Many people were saved � the interest was great! Only July 2, 1950, a Sunday School was organized, and the following officers were elected: Howard Lovell, superintendent; Roy Crunk, assistant superintendent: Eva Flener (Booth), secretary; H. S. Lovell, mission Sunday School treasurer; teachers, Mr. Naaman Autry, Mrs. Naaman Autry, Mrs. Wilford Flener, Mrs. Sarah Ander�son (Stilos), Mrs. H. S. Lovell, and Mrs. Howard Lovell. We met in a little store building located near what is now Chaney's Bar-B-Q. In a short time we started meeting in a little dwelling which is now in front of our present church. A month later we moved into a combination store building and dwelling, located where the church now stands. The building was about as crude as a building could be but the presence of the Lord was definitely felt. The first services were held July 23, 1950. Training Union was organized on September 17, 1950. The next day W.M.U. was organ�ized with Mrs. H. S. Lovell elected as president. memhers, including the following deacons: Wilford Flener, W. F. Gaddis, Polie Wilcox, and H. S. Lovell. The first business meeting was held November 23, 1950, with these officers being chosen: J. L. Parker, pastor; W. F. Gaddis, assist�ant moderator; H. S. Lovell, clerk; Millard Gaddis, treasurer; A. L. Fortnry, custodian; H. S. Lovell, chairman of deacons; J. N. Autry, Delmar, Roy Crunk, trustees. We had preaching only on a half-time basis because Reverend Parker already had another church. We were seldom without some one to preach � several preached their first sermons. We heard Charles Wilcox, Huglan Richey, E. T. McDoniel, John McDoniel, Jack Whitmer, Don Lam, Dewey Mercer, and many others. Since we were outgrowing our store building and it was in such bad shape, work on a new church building was begun May 10, 1950. The work on the basement was all done by voluntary labor. One time when there was no money and things looked very bad, a prayer meeting was held in the mud as the men were working on the basement; this seemed to be one of the highlights in the lives of those who were there. God truly answers prayer! Much work was donated and the ones who were paid worked at a reducted rate. The church when completed was made of concrete blocks. It had an auditorium 40 X 60 feet upstairs and Sunday School rooms were provided in the basement. 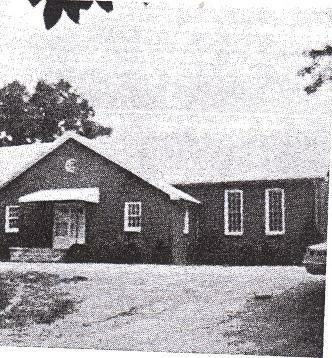 The church was admitted to the Muhlenberg County Association in August 1951. On February 10, 1952, Mr. M. V. Foster joined the church. He was elected as choir leader and served in this capacity until forced to retire because of ill health. Mrs. Dorothy Sandefur joined the fol�lowing year and became pianist. Reverend Parker resigned as pastor November 10, 1954. Rev�erend John Brandon was elected to take his place. A house two doors from the church were rented to serve as a parsonage for Brother Brandon, his wife Evelyn, and their three children, Johnny, Elizabeth and David. The debt on the church building was paid on October 16, 1955, and the building was dedicated November 29, 1955. 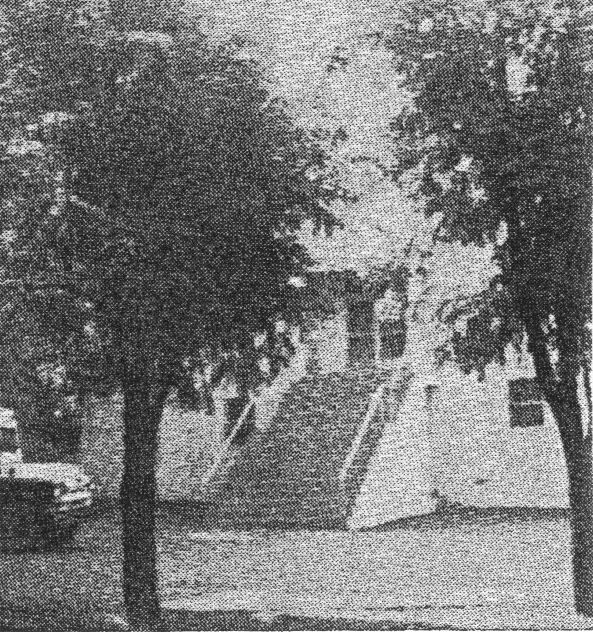 Work was begun on a parsonage May 25, 1955, and the Brandon family moved into this new home in November 1956. In November 1956, Millard Gaddis, Howard Lovell, and Ishmael Underwood were ordained as deacons. Reverend Brandon resigned as pastor in June 1957 to go to Cali�fornia to a large mission field. Reverend Orville Hickey, his suc�cessor, served until October 8, 1958. The church called Reverend T. C. Thurman of Dyersburg, Tennessee, as pastor in December of 1958. He served until May 10, 1960. As time went on and our membership was increasing, a great need for a larger building was seen. The membership had grown from 45 to 200 in nine years. A building committee composed of H. S. Lovell, Estil Geary, Albert Shemwell, Millard Gaddis, and Robert Sandefur was appointed April 12, 1959. Plans were developed to build a new auditorium in front of the church and to remodel the old auditorium into Sunday School rooms. Work was begun July 1, 1959. We held our first service in the new building in March 1960. On May 22, 1960, the church called Reverend John Brandon to again serve as pastor. He accepted after much prayer and held his first service July 17, 1960. Work was progressing on the church building. Much volunteer work was done, financial offerings greatly increased, and a church building of which the church and com�munity can well be proud was completed. 1961 was a very good year for Calvary. All departments went forward in a great way. Membership increased fifty-nine during the year. Quite a few good Baptist workers who were employed by TVA joined the church. On February 4, 1962 the church voted to buy the Casebier prop�erty adjoining the church. The house is used as a nursery; a part of the grounds for a parking lot. During the early sixties, Christians were maturing, people were being saved � one year this church led the Association in baptisms � and church members were enjoying Christian fellowship. In January of 1964 Reverend Brandon resigned to accept a church in Springfield, Tennessee. Reverend Floyd Berry of Hazard, Kentucky, was his successor. During the fourteen years of Calvary Baptist Church, God has truly been good to us and has blessed us with new-born souls, the ability to build as space has been needed, and a wonderful fellowship with Him and with other Christians. Some churches really deserve the name Missionary Baptist. Calvary must be missionary � she gave $28,658 to missions in the 16 years she has been reporting the Muhlenburg County Baptist Asso�ciation. She must be Baptist since she has baptized 292 people during this time � the smallest number, 2, in 1965; the largest, 45, in 1961. Her love for the Lord's work is manifested by her generosity: she increased the value of her church property from $2,250 in 1951 to $60.000 in 1964; her total expenditures for all purposes has been $205,998. Membership increased from 61 in 1951 to 404 in 1964. Large numbers of people joined by letter as well as by baptism. Achievements in Sunday School, Vacation Bible School, Baptist Training Union, and Woman's Missionary Union have been well above the average Associational level. Brother John S. Penley and others made a sincere effort to collect the facts about the early history of Carter Creek, but found little on record. 1888. Brother M. H. Whitson, pastor; J. S. Jenkins, clerk. 1890. J. S. Jenkins, W. T. Bradley, and E. Dwyer, mes�sengers to the Association. 1893. J. A. Mohon, and A. B. Cornett, messengers to the Association. 1895. Pastor, Brother J. W. Gill; clerk, J. S. Jenkins; pastor's salary, $75; baptisms, 13; membership, 75. 1902. Pastor, Brother W. H. Woodson; messengers, G. B. Mc�Clellan, I. McClellan, and Jake Stotz. 1904. Pastor, Brother W. H. Woodson; clerk, J. M. McClellan; messengers, J. W. Gill, A. B. Cornett, and James Wells. In 1907, W. H. Woodson was pastor; Isham McClellan, clerk; J. W. Gill, W. D. Welborn, and S. C. Clardy, messengers; Jacob Stotz, Sunday School Superintendent. She reported 84 church mem�bers and 45 enrolled in Sunday School. The Sunday School met six months out of the year. Membership declined during the next few years � 61 were re�ported in 1912. But, in 1913, 5 were baptized, 6 joined by letter, and 31 were restored, bringing the membership to 95. The following year 12 joined by baptism and 6 by letter. Carter Creek entered the 75 Milliam [Million] Campaign Era � 1920-24 � with 106 church members and with 70 enrolled in Sunday School. She paid her pastor $120 a year for quarter time service. The total amount expended in 1920 was $690. During this five-year period she paid $1,107 to the Campaign, and she baptized 18 people into the fellowship of the church. Like most other churches in the Association, Carter Creek fell off sharply in all financial contributions during the depression years, 1925-1940. Mission offerings ranged from not any to $20 a year; total expenditures were usually less than $200. Church membership remained under 100 until the last five years of this period when it reached 120.
salaries, mission offerings, and money spent on all church activities increased rapidly. Church membership did not increase until 1957 when it reached 136. 147 members were reported in 1960, 150 in 1963, 158 in 1964, 140 in 1965, and 186 in 1966. The pastor's salary was $175 in 1945, $356 in 1950, $919 in 1955, $1,478 in 1960, and $2,532 in 1965. Mission and benevolence offerings amounted to $35 in 1945, $190 in 1950, $508 in 1955, $456 in 1960, $939 in 1965, $934 in 1966. Total expenditures in 1940 amounted to $106, in 1950 to $1,201, in 1960 to $3,978, in 1965 to $5,124, and in 1966 to $5,557. Carter Creek baptized 152 peaple into her church fellowship from 1907 through 1965. "In Muhlenburg County, Kentucky, on the 19th October 1833, we the membars of Mt. Carmel Church met and or�ganized Cave Spring Church. We, Benjamin Pannel, Benjamin Pannel, Jr., Jordon Bass, Jacob Utley, James Utley, and William Dodd, members of Mount Carmel Church. Bethel Associa�tion, met on the day and date given above. Written by the request of this people and with authority from Mount Carmel Church of Jesus Christ of United Baptist to receive mem�bers in order for the constitu�tion of another church of the same faith and order and after the necessary arrangements, we gave an opportunity to any who felt disposed. How Cave Spring got its name. There was on the Starling and Morning Hills' farm a high hill which is at present the Bobby Coomb's Farm. At the foot of it was a cave and in the cave was a spring flowing with water. The first church was a one-room log church. We don't know the exact year the church was dedicated. Starling Hill and wife gave land for the church for 25 cents. They deeded the land to Cave Spring Church trustees James Utley, James Wells, and David Dukes. The Hills emigrated to this county from North Carolina. We don't know the exact date when the church was built. The records show they met at the members' houses for several months. The church was moved from the Hills farm to the present location � two miles or less � about 1895 or 1896. Some minutes remain of their meetings from March on through the year of 1841. Bro. K. G. Hay was moderator and Thomas Murphy was church clerk. A protracted meeting was held at their meeting place � the homes of the people of the church � in September 1841. Elizabeth Ann Duvall, Polly Dukes, and Benjamin Duvall were received for baptism. Later Elizabeth Hunt was received by baptism, and Thesdosid Atkinson, Nancy Brown and Lemuel Brown by letter. Rev. J. U. Spurlin was called to pastor Cave Spring in November 1845. He served until January 1849. Bro. Calvin Meacham served as pastor during 1849 and 1850; Bro. William D. Pannel, during 1851 and 1852; Bro. M. H. Utley during 1853; and Bro. H. Putman during 1854. From this time until 1865 several moderators served, but some of the records are lost and an accurate list is not available. We are glad of another opportunity to represent ourselves in your body by letter and messengers. Owing to the distracted con�dition of our county we have not sent up our letter and messengers for some years as desired to do, but we hope and will try to be more faithful in the future. We are in a cold condition at present, and we have no pastor. Brethren pray for us that the candlestick be not removed out of its place. We send for printing $1.50 and, we have chosen our brethren W. L. Wells and T. L. Cary to bear our letter and sit with you in council. May the Lord preside over you in all of your deliberations. Pastors who served the church from 1866 to 1907 when Cave Spring joined the Muhlenberg County Baptist Association include Brethren J. T. Barrow, J. U. Spurlin, A. N. Whittenhill, C. M. Pendley, T. D. Ragon, L. J. Stirsman, J. R. Ford, and John Bilbro. The church built in 1895 or 1896 on land donated by J. J. Rice was dedi�cated the 5th Sunday in October, 1904. Bro. Bilbro was chosen to preach the dedication sermon. A collection was taken up to the amount of $38.40 which paid the indebtedness of the church. The church was given over to God and dedicated to his service. August 1910 and served until September 1911. Bro. John Bilbro was appointed moderator and served until May 1912. Bro. Jim Ford was elected pastor in August 1912 and served until May 1916. We don't have any record until March 1917 and Bro. T. G. Woodson was pastor for 5 months. In April 1917 a committee was appointed to [see] about repairing the church. In August 1917 Bro. Latt Grundy was elected pastor. At a conference meeting in September 1918 the committee on church repair was changed to a building committee. W. S. Sherrod was appointed finance committee. There were different preachers until April 1920 when Bro. J. H. Ashlock was moderator at the con�ference meeting. Bro. W. W. Payne came to the church in May 1920 at which time he was County Missionary. The church was in debt and didn't have any pastor, so Bro. Payne was elected pastor in May of 1920. The church was dedicated to the Lord at a cost of approximately $2,500 on the 5th Sunday in October, 1920. Dr. W. D. No[w]lin preached the dedication sermon. Bro. W. W. Payne was County Missionary and served the church from May 1920 until October 1921. Bro. E. Grimes was chosen pastor in October 1921 and served the church until February 1924. In Sep�tember 1923 Bro. Payne and the pastor Bro. Grimes held a revival meeting. Ten additions to the church resulted. Bro. C. R. Evitts was elected pastor in February 1924. During the month of August they had a gracious revival with 17 professions of faith and two joined by letter. In September 1925 Bro. Browning held a revival resulting in six additions to the church. Bro. Devine was elected pastor in Sep�tember 1927. In August 1930 Brethren Neal Phillips, W. S. Dukes, and Frank Dukes were elected church trustees. Bro. Ira McCay was elected pastor in October 1930 and served until October 1932. During his pastorate there were 21 additions. Bro. Fred Fox was called as pastor in October 1932 and served until 1936. During a revival in July 1933 there were 27 professions of faith and 14 joined by baptism. Four others were baptized the fol�lowing month. Bro. M. V. Cotton was the evangelist in a revival held in June of 1934 when 9 joined by baptism. Bible institutes were held during May of 1934 and of 1936. Eleven people were baptized following the 1936 revival. In October 1936 Brother M. V. Cotton was elected pastor and served until October 1938. Twenty-two joined by baptism during his pastorate. Twenty-five joined the church by baptism during the pastorate of Bro. Bryant Wice � October 1938 to October 1942. Bro. Kermit Lovelace served as pastor from October 1942 until October 1946. During his pastorate Arvil West, Clyde West, and Floyd Phillips were made deacons. Arvil West was also elected church clerk and treasurer. Twenty-seven joined the church by baptism while Bro. Lovelace was pastor. Brother Carlos Skaggs served as pastor from August 1946 to October 1950. Forty-two joined the church by baptism during this period. Phillips, Clyde West, and Floyd Dukes, trustees. Bro. Jean Harper was the evangelist in the 1955 revival. Bro. Herschel Burden was elected pastor in October, and served until March 1958. During this time the trustees leased the church ground to Ed. Morris for $800 to drill for oil. In April of 1957 a contract was given to Mr. H. H. Pepper to build Sunday School rooms in the church basement (six rooms and hall). During Bro. Burdens pastorate of the church 12 joined by baptism and 10 by letter. Bro. Jean Harper pastored the church from March 1958 to December 1961. He had professed faith in Christ at Cave Spring Church and was baptized the first Sunday in August 1952. He was ordained to the full work of the ministry in May 1958. During his pastorate there were 36 who joined the church by baptism and 12 by letter. Rev. Joe Spears was elected as pastor in March 1962, and he is our pastor at present. He has had 12 souls saved in his Sunday School class this year (1964). During Bro. Spear's pastorate he has baptized 16 and 10 have joined by letter. The present member�ship of the church is 197. Members who have served the church as clerks are Thomas Murphy, William Utley, Thomas Murphy, W. L. Wells, W. W. John�son, N. J. Oglesby, H. T. Dugger, Amanda Brothers, Rinda Phillips, Neal Phillips, Arvil West, and Reginal Coombs. Members who have served the church as deacons are Thomas Murphy, Nedom Butler, T. L. Gary, J. L. Spurlin, W. W. Johnson, W. T. Oglesby, J. W. Dukes, John Lile, Neal Phillips, A. F. Walker, B. F. Rice, T. J. Atkinson, Arvil West, Clyde West, Floyd PhiUlips, Yost Lee, and Reginal Coombs. On February 15, 1893, a Presbytery met at the Forehand School house for the purpose of organizing a United Missionary Baptist Church. Rev. W. H. Woodson was appointed moderator and Rev. L. J. Stirsman clerk. The church was organized with 74 members. The majority of them came from Mt. Pisgah and Old Bethel. They called the Rev. W. H. Woodson as pastor and dedicated the church in 1893. In July 1894 the church voted to invite the Little Bethel Asso�ciation to meet with them in 1896. In 1895 Brother G. P. Gardner was ordained to the ministry. messengers to meet with the Hazel Creek Church to discuss the pos�sibility of organizing a Muhlenberg County Baptist Association. Those elected were J. W. Noffsinger, Ed Lock, and Rev. L. J. Stirsman. In August, 1907, messenges were elected to the Little Bethel Association so that we might join the Muhlenberg County Baptist Association. By May of 1914 the finances of the church had increased about three times over what it was in 1904 and 1905. This was the result of the Midland Coal Company moving in and putting more money into circulation in the community. In August 1917 the church invited the Association to meet with it in August 1918. The pastor's salary for 1917 was $137.50. A Sunday school was organized the 5th Sunday in March. The minutes of this church from 1917 to 1931 are gone. Pastors who served during this period are Rev. W. H. Curl, Rev. J. C. Craig, and Rev. Frank Farmer. In August 1932, an invitation for membership was given and there were 35 that came forward. They were baptized the next afternoon. In November 1933 the church licensed Brother Crunk to preach the gospel. The next year Brother Crunk asked for a letter to join the Nelson Creek Church. During 1944 the church built a road from the church to the highway. In July 1947 the cost of the addition to the church was reported: $271.35. In November 1947 the budget system was adopted: one-third for the pastor, one-third for missions, and one-third for the church. A committee was appointed, August 1948, to see about Sunday School rooms. In November 1948 Ben Vincent reported that Devine Brothers had made a bid of $6,510.00. A committee was chosen to raise the money. In April 1949 it was moved and carried to build a new church. The church was completed and the first service held Saturday night before the 2nd Sunday in March. (In March 1950 the old church was put up for sale.) The church decided to have the dedication the 5th Sunday in October. The following were appointed to write the history of the church: V. P. Noffsinger, Leonard McRoy, and T. A. Wilkins. In February 1950 the budget system was changed to provide $40.00 a month for the pastor, 10% to the Cooperative Program, $3.00 a month to district missions. In August 1950 the pastor's salary was raised to $52.00 a month. In January 1951 the church moved from quarter-time to half-time preaching. In May 1951 it ordered chairs, a table, and a stand. Two and one-half per cent of the 1953 offering was given to help build the County Missionary's home. During 1954 a cooling system was installed and paid for at a cost of $1,423.42. In 1955 the church gave $50.00 to help the Cleaton disaster. During the same year the church changed the annual call of the pastor to an indefinite call with a 60-day notice from the church or pastor. In October 1956 the church voted to go to full-time preaching the first of the year 1957. In January 1957 we received Rev. and Mrs. Fred Fox into the church and moved to take 10% of the church treasury and 10% of all church collections for a building fund. In October 1957 voted to have all church records recorded into one book with Aunt Ellen Whitmer doing the copying. In December 1957, after being questioned by pastor and church, Brother Ronnie Underwood was given a license to the ministry. In November 1960 an invitation was extended to Old Bethel Church members to come and use this church any time they wanted to for their church had burned. In January 1961 the church accepted the plans and the bid of $11,110.00 from the Perkins Lumber Company to build a parson�age on the ground that T. A. Noffsinger had given the church. We cut our offering to the Cooperative Program from 20% to 10% until the parsonage was paid for. This was done during November 1964. A drive had been made to wipe out the debt on the parsonage, The deacons were asked to head the drive by making a contribution of $100.00 each. In December 1964 the church moved to accept the budget com�mittees' report in which they recommended that 5% of all regular collections be deposited in the building fund, and that the church give 3% of all regular collections to district missions and 15% to the Cooperatice Program. The church has been served by 21 pastors and 21 deacons and 12 clerks. On December 9, 1964, the church moved that this con�densed history of the church be turned over to the Associational Historical Committee for use in the History of the Muhlenberg County Baptist Association. Following are the names of pastors and the terms they served Cedar Grove Church. Rev. W. H. Woodson, February 1893 to May 1900. Rev. R. C. Allen, June 1 1900 to May 1901. Rev. W. H. Woodson, May, 1901 to December 1901. Rev. R. W. Danks, January 1, 1902 to December 31, 1902. Rev. L. J. Stirsman, 1903. Rev. W. W. Woodson, 1904 to August 1907. Rev. P. E. Herndon, August 1907 to March 1909. Rev. J. N. Jarnigan, March 1909 to June 1916. Rev. John Grady, June 1916 to 1920. Rev. W. H. Curl, 1920 through 1923. Rev. J. C. Craig, 1924. Rev. Frank Farmer, January 1, 1925 to December 1933. Rev. Robert Spears, January 1934 to June 1936. Rev. R. H. Forsythe, June 1936 to November 1939. Rev. Marvin Stinson, 1940 and 1941. Rev. C. E. Daniel, 1942 through 1944. Rev. J. L. Parker, 1945 through 1948. Rev. Johnnie Bruce, January 1, 1949 to July 1949. Rev. W. D. Oakley, August 1949 to September 1955. Rev. Fred Fox, September 1955 to October 30, 1960. Following are the names of the clerks and the terms they served Cedar Grove Church. W. B. Noffsinger, February 1893 to March 1893. J. H. Brown. March 1893 to November 1896. C. B. Noffsinger, November 1896 to December 1900. J. G. Noffsinger, December 1900 to January 1903. J. H. Noffsinger, January 1903 to February 1905. J. W. Noffsinger, February 1905 to December 1910. Ernest Noffsinger, December 1910 to April 1911. S. O. Noffsinger, April 1911 to October 1912. E. P. Noffsinger, October 1912 to September 1932. T. A. Wilkins, September 1932 to December 1948. Leonard McRoy, December 1948 to December 1953. J. W. Wright, Jr., December 1953 to present time. Following are the names of the deacons and the terms they served. William Bethel, October 1893 to February 27, 1916, closed by death. H. C. McDonald, October 1893 to February 7, 1933, closed by death. Andrew Noffsinger, October 1893 to December 26, 1933, closed by death. L. F. Vincent, October 1893 to October 30, 1943, closed by death. J. R. Noffsinger, October 1893 to May 18, 1946, closed by death. J. H. Brown, October 1893 to September 1933, Letter to Bethleham Church. J. T. Richey, June 1921 to March 2, 1959, closed by death. V. P. Noffsinger, June 1921 to September 1964, closed by death. J. H. Richey, June 1921 to October 13, 1934, Letter to New Harmony Church. Ernest Noffsinger, June 1921 to March 15, 1939, closed by death. T. A. Wilkins, June 1921 to 1965, closed by death. James H. Brown, January 1936, to November 29, 1936, closed by death. R. A. Noffsinger, June 1940 to June 10, 1955, Letter to Akron, Ohio. Alva Noffsinger, June 1940 to June 27, 1955, closed by death. B. F. Vincent, June 1940 to 1956, closed by death. Willard Richey, April 1951 to present time. Goodson Peveler, April 1951 to present time. J. C. Vincent, April 1951 to present time. Leonard McRoy, April 1951 inactive for about last five years. Tunny Durall, September 1959 to September 9, 1964, letter to 2nd Baptist Church. Elmer Noffsinger, September 1959 to present time. Cedar Grove entered this Association in 1907 with a member�ship of 172. P. E. Herndon was pastor, J. W. Noffsinger, clerk. The poster's salary was $90.00 for year; $9.00 was given to missions; total expeniture was $185.00. In 1935 the church reported 376 members; pastor's salary, $120.00; missions, $24.00; total expenditure, $266.00. In 1960 the church reported 212 members; Rev. Fred Fox full-time pastor with a salary of $3,600; gifts to missions, $2,057; total expenditure $5,615. Cedar Grove has reported a total of 595 baptisms since 1907. In six of these years the number of baptisms exceeded 2$[? ]: in 1913, 23; in 1921, 56; in 1922, 22; in 1931, 32; in 1933, 35. In the spring of 1878, as the result of a revival meeting conducted by Elders W. P. Ben�nett and D. L. K. Maddox, the Central City Baptist Church, originally known as the United Baptist Church, was organized by a scattered group of pioneer families with a charter mem�bership of fifteen. The first services were held on the sec�ond floor of the Galilee School near what is now West Second Street. This was near the old road leading to the Galena Mines. The first pastor was Rev. Kelly Maddox who ser�ved about eight years. Rev. Frank Welborn was the second pastor, serving about five years. Immediately on organizing, the church applied to the Gasper River Association for membership. It was accepted. Other local denominations used the school building. There were far too few families to warrant church buildings for each denomination, so they combined their efforts to build a union church with the Baptist[s] predominating. The building program was under the leadership of Rev. L. G. Voyles, the third pastor. This was about 1889. The construction of the building was under the members of this body. direction of Samuel Danner, an active member and carpenter by trade. This was a small frame building located near the corner of North First Street and Reservoir Avenue. Much of the labor and materials were donated. The membership at this time was eighty. The Articles of Faith were adopted in 1889. In 1893 the church united with the Daviess-McLean Baptist Association and remained a member until the formation in 1907 of the Muhlenburg County Association when it became a constituent member of this body. On May 22, 1890, a lot at Third and Morehead Streets was conveyed to the United Baptist Church by a deed signed by George L. Williamson and wife to S. C. Gish, J. S. Hill and J. Ham Helsley, trustees. On this site, under the leadership of Rev. R. H. Brengle, the first brick church was built in 1894. Another lot was donated by S. C. Gish and Mollie E. Gish for a parsonage. This was near the church property and on Third Street. This building was later sold and a new parsonage was bought in 1941 on Morehead Street which still serves as the pastor's home. This information concerning the history of the church prior to 1907 has been taken from old newspaper clippings and recollections of a few of the older members. Information since the year 1907 comes from the records of the Muhlenberg County Baptist Association. The church at this time enjoyed a steadily increasing member�ship and called for larger quarters. In 1921 a gift of a lot 66 feet adjacent to the church on Morehead and Third Streets was made by deed dated December 6, 1921, from the Gish heirs, Mary E. Gish, widow of Samuel C. Gish; Shelby C. Gish and wife, Roxie; E. M. Gish and wife, Lena T. to trustees R. L. Bennett, J. H. Eades and I. W. Noffsinger. In this year, 1921, under the leadership of Rev. H. L. Thornton, a modern and commodius building was erected on the site of the old brick building at Third and Morehead Streets at a cost of about $50,000.00. The main auditorium has a seating capacity of 600 with several adjoining classrooms. The first addition to the original building was under the lead�ership of Rev. Ray Dean in 1941 at a cost of $30,000.00. This served the needs for extra Sunday School rooms, nursery, church offices, furnace room, etc. In 1965 a deed was made dated December 24, 1954 by Wilbur and Ida Wheeldon for a lot of 65 ft. on Third Street adjoining the church property for an euducational building. The second and most recent addition was made in 1958 under the leadership of Rev. C. W. Devine and dedicated January, 1960. This accommodates about 467 more people in Sunday School with eight new departments. This addition at present, 1964 is valued at $142,800.00. 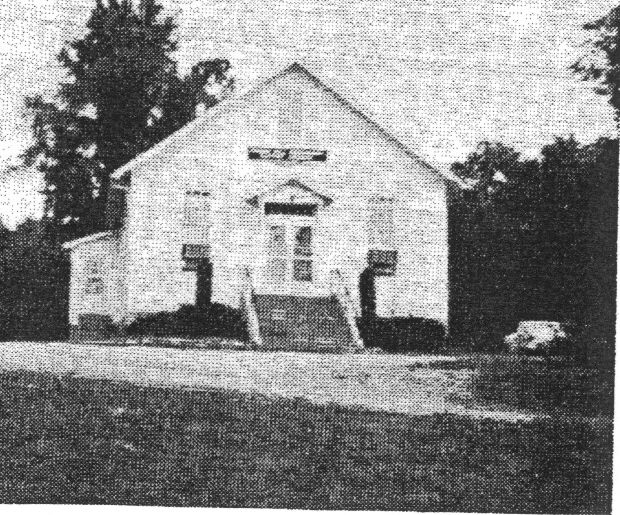 A mission was established on Stringtown Road and in 1950 was organized into the Calvary Baptist Church with seventy-five members. In 1954 a mission was started on the South Carrollton Road. This was organized in 1958 into Temple Baptist Church with fifty-two members. The church is presently (September 1964) sponsoring Sunday School classes with a total average attendance of thirty-five on U. S. 62. In February 1963 the church purchased a lot on the opposite corner from the present building from the Jenkins heirs for the sum of $7,000.00 which has been converted into a parking lot. The value of the church properities at the end of Associational year 1963 is $302,000. Total receipts from all purposes in 1964 was $70,407. Total mission expenditures was $18,605. Editor's Note - (From statistics in Muhlenberg County Baptist Association minutes). The Central City First Baptist Church entered this Association in 1907 with 259 members; in 1964 she reported 1,476 members. The pastor's salary in 1907 was $850; in 1964 it was $6,080. In 1907 the church reported $44. as gifts to missions; hi 1964 her gifts to missions amounted to $18,605; in 1965, to $19,263. 1907 the total expenditures reported amounted to $1,017; in 1963, to $81,476. The church has never failed to report baptisms. In 40 of the 57 years she has been in the Association, there have been 20 or more baptisms, in 27 of the years the number exceeded 30; in 10 of the years the number exceeded 50; the greatest number was in 1955 when the number reported was 105. The total number has been 1,828. In 1963 the church reported a Sunday School enrollment of 828, a Vacation Bible School enrollment of 287, a Training Union enrollment of 386, a Choir enrollment - from beginner through adult - of 185, a Brotherhood enrollment - 45 men, R. A. - of 83, a Woman's Missionary Union enrollment - W. M. S. and auxiliaries -of 207. The church is located ap�proximately two miles West of Central City, Kentucky, and one mile south of State High�way 70 in the community known as Cherry Hill. The Church got its name from its situation atop a large hill and from an enormous cherry tree that stood just west of the pre�sent church. Many of the citi�zens of this community still have vivid memories of this old cherry tree. Cherry Hill Church was constituted in the fall of 1887 by Elders W. H. Woodson and Leander Stirsman, with six�teen members who came from Old Bethel Church. The Church did not join any association because it did not have regular meet�ings. Elder W. H. Woodson preached for the Church as often as he could during the years 1888 and 1889. In the fall of 1889 Elder W. H. Woodson held a meeting of days which resulted in thirty-four additions to the Church, twenty-six by baptism and eight by letter. The Church then called Elder W. H. Woodson to take chare as pastor. He accepted in December 1889. Cherry Hill joined the Little Bethel Association on September 9, 1890. The Association that year met with Pleasant Grove Baptist Church in Hopkins County. The moderator of the association was Elder J. C. Hopewell and the clerk was D. S. Edwards. Cherry Hill sent Elder W. H. Woodson and Bro. J. B. Millard as messengers to this Association. Elder W. H. Woodson preached the introductory sermon, taking as his text St. Matthew 28:18-20. Elder W. H. Wood-son was the pastor and J. B. Millard the clerk at this time. 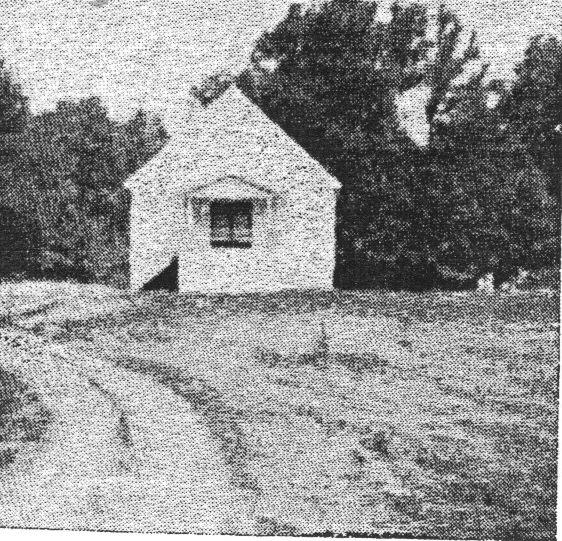 The Church was organized in 1893 and all the early meetings were held in the old school house until the first church was built in the fall of 1894. 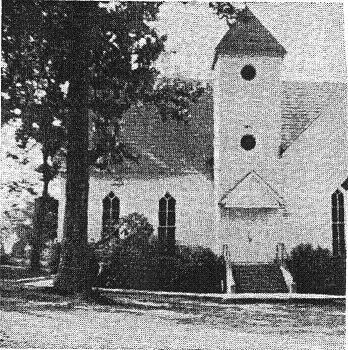 The Church was known as Cherry Hill of the United Baptist and retained this name until October 1913 at which time it was changed to Cherry Hill Missionary Baptist Church. teaching. The class was held in the afternoon so as not to con�flict with the regular Sunday School. This work has had a great in�fluence upon many of the members who attend. This is testified to by many of the members of the church today, as well as by the faith and confidence they have for Mrs. Humphrey. In 1910 the Pastor held a meeting in the Morehead School House with twenty-eight professions of faith. Then at the November busi�ness meeting, twenty-two of the members asked for letters in order that they could go to Morehead and organize a church. This church is known today as Woodson Missionary Baptist Church. 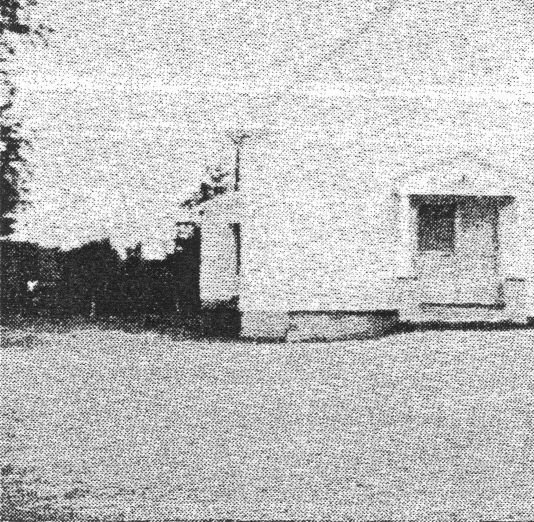 The Church remained in the Little Bethel Association until October 9, 1907. At this time the Church became a member of the Muhlenberg County Baptist Association. The Little Bethel Associa�tion met with Cherry Hill December 5, 1901, with Elder J. C. Hopewell moderating and D. S. Edwards the clerk. The messengers to this Association from the local church were W. W. Woodson, Samuel Brown, and T. D. Humphrey. Services were held in the original church building until March 4, 1933, at which time it was destroyed by fire. The members met March 8, 1933, and dedicated themselves to rebuilding the church. It was decided to rebuild on the same site. A committee was ap�pointed to oversee the building of the new church. Members of this committee were Bros. Pete Brown, Lucian Tyson, and Claude Dukes. Building began shortly thereafter, with dedication services held the 5th Sunday in July 1933. Bro. L. P. Whittaker of Bremen brought the dedication sermon. The Church originally met once a month for preaching and weekly for Sabbath School. In August 1942, the church voted to go half-time with meetings the 1st and 3rd Sundays of each month. The church then voted to go full time in December 1944. Wednesday night service (Prayer Meeting) was voted into effect, with the first services being held the first Wednesday after the first Saturday in October 1942. Training Union was made a part of the Sunday night services in November 1950. The Church voted to start submitting reports the 4th Saturday in November 1939. Also voted on Saturday before the 4th Sunday in March 1940 to begin sending in mission money monthly. The Church has always been mission minded as evidenced throughout the minutes where ladies of the Church were appointed to collect money for this cause. The first W.M.U. was organized in the late 1920's with Mrs. Griffin Knight as the president and Mrs. Lutdtia Wilfcins the trea�surer. Since this time the W.M.U. has been active three times, the present being the third time. Presently the W.M.U. is active with Mrs. Don Perkins the president, Mrs. Addle Stewart vice-president, and Mrs. Dorothy Stirsman secretary-treasurer. Under the guidance of this organization is an active Girls Auxilliary with Mrs. Alberta Wilkins and Mrs. Irene Settle counselors for the Intermediate G.A. 's, and Mrs. Roy Geary counselor for the Junior G. A. 's, and with Mrs. Don Perkins the counselor for the Sunbeams. Carl White, vice-president; George L. Millard, secretary; and L. K. Stewart, treasurer. Presently these officers are the same except that Don perkins is now vice-president. The Brotherhood sponsors an active Royal Ambassador organization with Mrs. Bobby Millard the counselor. That the Church has shown steady growth through the years is evidenced by the building of a basement in 1945, installing com�plete electric lighting in 1948, building of Sunday School rooms in the basement in 1951, building of a parsonage in 1956, building addi�tions in the basement and Sunday School rooms adjacent to the auditorium in 1960, and complete renovation of the auditorium in 1960. Early churches had a very trying time for survival. The mem�bers of this Church during the years 1928 and 1929 had an in�debtedness for some improvements made on the building. Money being very hard to come by those days, the ladies pieced quilts and sold them. They also sold a hen now and then and then applied the income to the church debt. For many years the pastors received practically nothing money wise, but the members gave them garden stuff, canned goods, poultry, or a little of this or that to help out. How many would we have today under circumstances such as these? Deacons: (Not a complete list - others have joined by letter). Mr. J. E. Humphrey and Mr. A. F. Jackson, ordained in May 1903. Messrs. George Gish, Ed Woodson, Andrew Stirsman and G. E. Knight, ordained in 1910. Messrs. L. E. Wilkins, Broadus Henry, and L. H. Tyson, ordained in August 1913. Messrs. Willie Woodson, Lonnie Stirsman, and J. L. Patterson, ordained in June 1927. Messrs. Rollie Nicholson, J. L. Steele, and Charlie Reno, or�dained in July 1938. Messrs, J. E. Ward and Lee LeMastus, ordained in January 1949. Mr. Edward Gish, ordained in March 1950. Church Clerks: (Not a complete list - others have served a short time.) Messrs. J. B. Millard, L. D. Spears, Broadus Henry, Lonnie Stirsman. J. L. Steele, James E. Ward, and the present clerk, George L. Millard. Rev. W. W. Woodson, 1887 through 1889; Rev. W. H. Woodson, 1890 through 1892; Rev. W. H. Bell, 1893; Rev. W. H. Woodson, 1894 through 1897; Rev. R. H. Langley, 1898; Rev. W. W. Woodson, 1899; Rev. W. P. Henry, 1900 to 1901; Rev. W. H. Woodson, 1902; Rev: W. W. Woodson, 1903 and 1904; Rev. W. H. Woodson, 1905 through 1910; Rev. J. N. Jarnigan, 1911; Rev. W. H. Woodson, 1912; Rev. J. W. Gill, 1913 and 1914; Rev. Jesse Brown, 1915; Rev. J. W. Gill, 1916; Rev. W. P. Henry, 1917 through 1919, Rev. H. D. Devine, 1920; Rev. B. S. Staurt, 1921 and 1922; Rev. J. W. Gill, 1923; Rev. Paul Shanks, 1924; Rev. E. Y. Cooper, 1925; Rev. Charlie Evitts, 1926; Rev. S. A. Kittinger, 1927 through 1939; Rev. T. G. Shelton, 1940 and 1941; Rev. V. A. Turner, 1942 through 1944; Rev. M. L. Ray, 1945; Rev Robert Spears, 1946 through 1948; Rev. H. K. Langston, 1949 through 1955; Rev. Bonell Key, 1956 through 1959; Rev. Melvin Johnson, 1960 through 1963; Roy Geary, 1964 to Present. In 1966 Cherry Hill reported 6 baptisms, 287 church members, 127 enrolled in Sunday School, $1,854 contributed to missions, $14,047 expended for all purposes. � Editor. Bellview Baptist Church (now Cleaton Baptist Church) was organized and established in the year 1884 and was built in 1892. It was located on a high hill overlooking the towns of Bevier and Cleaton. It was built on a lot donated and deed�ed to the church by the old Memphis Coal Company. The deed was dated September 19, 1892 and made to C. R. Lewis, James E. Edwards, and Authur Hammers, trustees of the church. It stood on the original site for about 32 years until, in 1924, the church voted to move off the hill and to occupy its present location in the town of Cleaton. The present lot was donated to the church by Mr. Albert Creel by deed dated April 5, 1924. It was made to A. R. Rigsby, R. A. Turner, and B. E. Roll, church trustees. Some of the early members of the church included Mr. and Mrs. Arthur Hammers, Mr. and Mrs. Sam Shemwell, Mr. and Mrs. McGuyer, Mr. and Mrs. A. J. Harris, Jr., Mr. and Mrs. James E. Edwards, Mr. and Mrs. John Shemwell, Mr. and Mrs. John Vincent, Mr. and Mrs. George Fitzshugh, Mr. J. L. Clark, and Mr. C. R. Lewis. The nineteenth century pastors included a Rev. Hacker and Rev. R. W. Danks. There is no record to speak of concerning them or how the church prospered under their Ministry. However, what records we have of these early years of the church show a rapid growth in membership, and by the time the century ended the membership had increased materially. while O. L. Weir was pastor of the church - 1903-1905. The church was ceiled, weatherboarded, and new seats were brought. The first seats had been made by J. R. Vincent, John Shemwell, and Date Lewis. In 1907 when the Muhlenberg County Baptist Association was organized, Bellview withdrew from the Gasper River Association and became a constituent member of the Muhlenberg County Asso�ciation. Our church entertained the Association in August 1917. During the period from 1900 to 1920 the church was served by pastors O. L. Weir, W. W. Woodson, J. J. Goodman, A. C. Dorris, A. T. Ross, and Birch Shields. We have very little in our records of their pastorates or of the success of their ministry except that in 1908 and 1909 Bro. Woodson and Bro. Goodman carried on very successful revivals which resulted in large baptizings at the Cresent Pond in October 1908 and on July 4, 1909. On January 8, 1921, Bro. L. P. Whitaker was called as pastor of the church and in 1923 under his ministry a great revival broke out in the church. On June 24, 1923, one hundred souls were baptized at the Cleaton Pond as a result. In 1924 a basement of concrete was erected at the present church location, and on December 13, 1924, first service was held in the new church. The basement was ceiled overhead with material purchased with money received from the sale of the old church property on the hill. Bro. J. W. Wheeler bscame pastor of the church in 1926. During his ministry the church went to half time preaching and continued until depression late in 1929. In November 1927, Bro. L. P. Whitaker was elected pastor of the church after a period of two years in which Bro. Wheeler had served the church. In 1929 Bro. W. E. Powell was elected and served until November 1930, when Bro. Whitaker was for a third time elected as our pastor. He served us this time until his death in January 1935. The church was greatly affected by his passing. His funeral at Bethlehem Baptist Church was said to be the largest ever held in Muhlenberg County. Some 238 automobiles and trucks brought together mourners from every section of the county and many sections of the State of Kentucky. More than two hours were required for the great throng of people to pass around and view the remains. "Truly a Prince of Israel had fallen" 2nd Samuel 3-38. Bro. W. E. Powell accepted the care of the church for the year 1935 after the unanimous call on February 2, 1935, and on the fourth Saturday night in April when Bro. Powell oame to fill his regular appointment, a number of souls were saved and the joined church. The same was true the next day which was the Lord's day. This was the beginning of one of the truly great revivals of all time in the church. From day to day Bro. Powell announced services, and we secured Bro. H. T. Ashby of Lewisburg, Kentucky to assist the pastor in the revival. Large crowds attended and a multitude of souls were saved daily so that at the close at the revival 135 saved souls were baptized by Bro. Powell on May 12, 1935, at the Cleaton Pond. that on account of failing health, he would not accept the care of the church for another year. At the election held on December 21, 1935, Rev. H. T. Ashby was elected by a unanimous vote. Bro. Ashby served as pastor long and well. He was splendid preacher and an humble pastor and leader of men. During the period of his ministry the church grew in number and spirituality. It was during his pas�torate that the church returned to half time preaching after it had cut to one fouth time during the depression 1929. In November 1943 Bro. Ashby resigned our church to accept a call to Tabernacle Baptist Church in Lewisburg, Kentucky. At a call meeting held at the church on November 27, 1943, Rev. Marshall Conway of Owensboro, Kentucky, received a unani�mous call to serve as pastor for the year 1944. It was a very happy and prosperous year for the church despite the fact that World War II was at its height and many of our young members were away in the service of the courutry. Bro. Conway always came to us with enlightning as well as consoling messages. During the year 1944 the church under the leadership of Bro. Conway went to full time preaching and has continued so ever since. At the close of the year, Bro. Conway refused to consider a call for another year. At the December 3, 1944, election, the call went to Bro. F. R. Bingham of Mayfield, Kentucky. During his early ministry the basement was completely remodeled and four more much needed classrooms were added to the church. On December 8, 1845 the church voted to change the name from Bellview Baptist Church to Cleaton Baptist Church. The church was organized as Bellview Church and carried the name lor about sixty-one years. W. T. McGuyer had named it Bellview because the bell tower could be seen by the people under the hill. During 1951 Bro. Bingham felt the call of the Lord to go into the mission field. He went to Chicago during September and October of 1951 and organized the Jordan Baptist Church in a section of the city where a number of Cleaton's members resided. Cleaton Church donated $150. out of its mission fund to assist in the organization of the church. evening. The work was completed at a cost of $30,000. of which the church borrowed $24,000 from the bank. The entire indebtedness was taken care of on the first Sunday in June, 1962. On that day the church was dedicated to the service of the Lord free of debt. In June 1963, Bro. Young resigned. On June 19, 1963, Rev. R. D. Mize, our present pastor, was called to the work, and at the close of the first year of his ministry there had been two revivals held in the church. Twenty-eight were baptized and sixteen were received by letter. As we proudly present the above record of growth and bless�ings, we are eternally grateful to the great Head-of-th-the- Church for the leadership of His Almighty Spirit in all all past history of the church. And in all humility we bow our heads to him to ask His leadership and blessing as we go on into the future that lies ahead unseen and unknown. May Cleaton Baptist Church be casting its radiant beams of light till Jesus comes to take it home to be with him eternally. Editors Note (from statistics in Muhlenberg County Baptist Association minutes). Cleaton Baptist Church (then called Bellview) was a con�stituent member of the Muhlenberg County Baptist Association with 91 members on its roll; in 1964 she reported 566 members. In 1907 her quarter time pastor received a salary of $50.00 a a year; in 1964 her full time pasture received $7,044.00. In 1907 the church contributed $9.00 to missions; in 1964 she contributed 300 times that amount - $2,627 - to missions. $7,912 went to missions in 1966. In 1907 this church reported a total expenditure of $65.00; In 1964 the toal amount was $17,312.00; in 1966, $24,231.